Iraqi Constitution Adopted Despite Two-Third� Rejection in Sunni Provinces ! Did Iraqi Police Truly Kill 85 Resistance Fighters in a Camp? 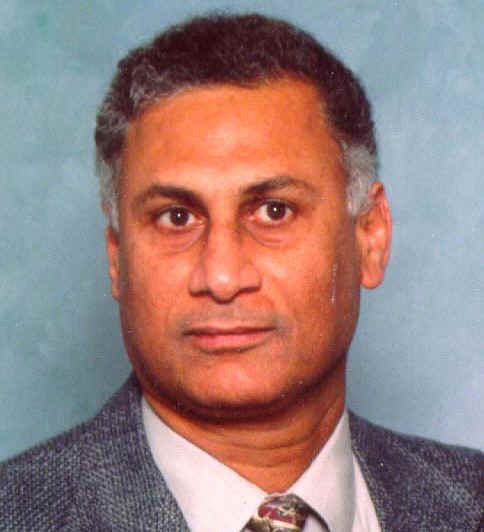 Who should really apologize: Palestinians or Kuwaitis? Sharon, Bush and Arafat, who is the problem? Is this what America Wants? Can Colin Powell Take the Zionist Heat? 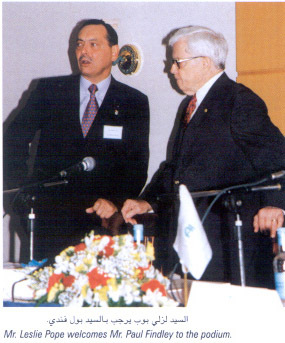 Thomas Freedman and M.E. Politics: A Press Secretary of the Shadow Government, or Just a Smart Journalist? Dutch TV film showing the Israelis' influence over America's Congress. 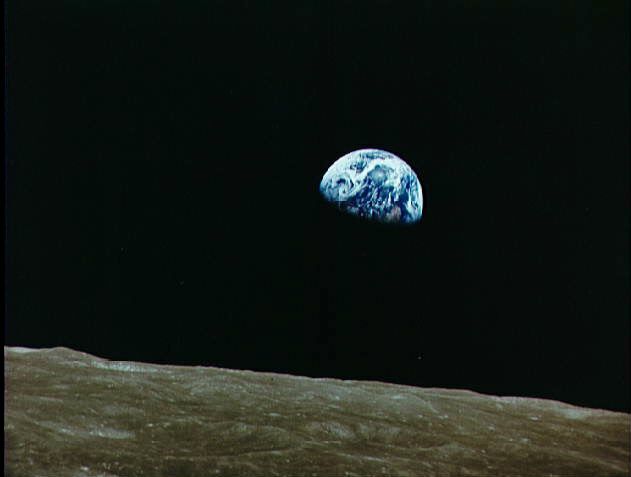 Findley, Paul. 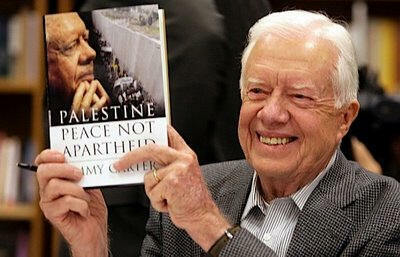 A. Lincoln, "Deliberate Deceptions: Facing the Facts about the US-Israeli Relationship." (1990), They Dare to Speak Out: People and Institutions Confront Israel's Lobby. (1985). 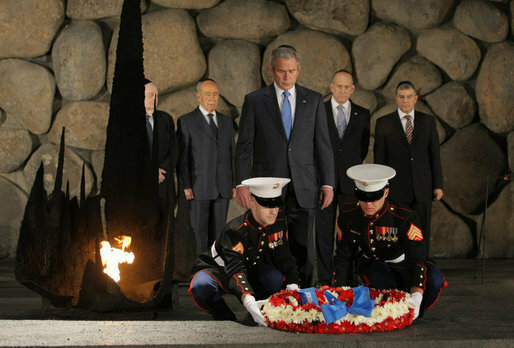 The Power of Israel in the U.S.
George W Bush at the Holocaust Museum, Jerusalem (AP, 1/11/08). 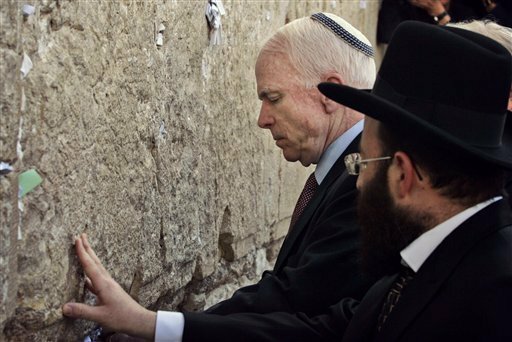 John McCain at the Wailing Wall, Jerusalem (AP, 3/19/08). Barack Obama at the Wailing Wall, Jerusalem (7/23/08). 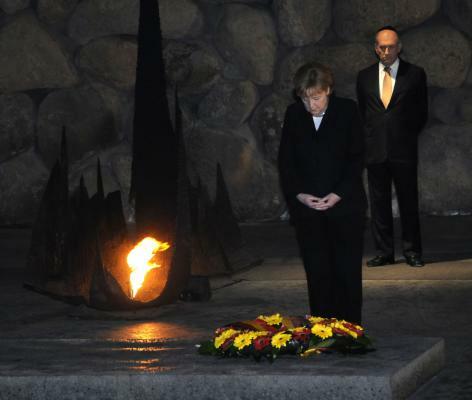 Angela Merkel at the Holocaust Museum, Jerusalem (UPI, 3/17/08). Nicola Sarkozy and his wife Carla at the Holocaust Museum, Jerusalem (AP, 6/23/08). 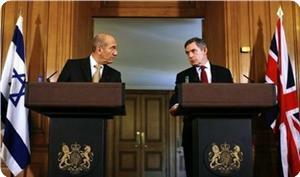 Gordon Brown and Ehud Olmert in Jerusalem (PIC, 7/22/08).